This former rural area just beyond Heuwelsig in the north of Bloemfontein, remains a real country experience, the rustic suburb providing some wonderful places of escape from city living. Rayton is about breathing space and a slowing down of time. Here one can experience the best of both worlds – peace and tranquillity away from the city, and quick access to schools and amenities if that’s what you intend. The Botanical Gardens are close to Rayton and practically mandatory if it is beautiful gardens, shady trees, medicinal plant displays and pretty paved nature trails you are after. 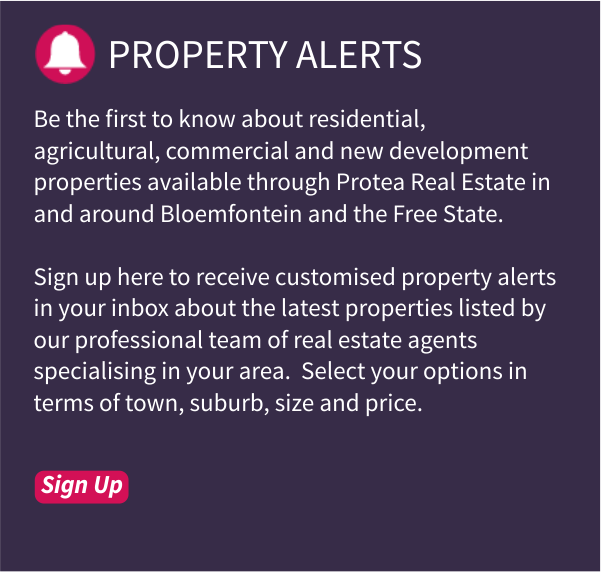 The ever popular Preller Square Centre (accommodating Woolworths Foods and Crazy Daisy delicatessen), Preller Walk, Bays Village and Mimosa Mall are the shopping centres closest to Rayton. Movie theatres and a Virgin Active Gymnasium at the North Ridge Mall are additional attractions close to this beautiful subur b. 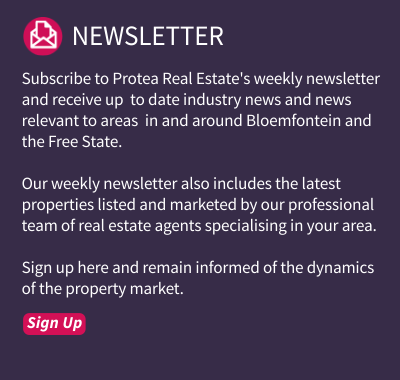 Schools in the area include David Davidson Pre-Primary School, Brebner Primary and Secondary School, Willem Postma Primary School and Sentraal High School. Even Grey College, Eunice High School, St Andrew’s School, St Michael’s School and Oranje Meisieskool are all located within a 9km radius from this area. 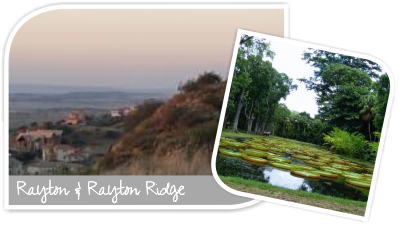 In terms of properties, Rayton roughly consists of 94% houses and 6% sectional title properties like townhouses and duets, while Rayton Ridge consists of 35% houses and 65% sectional title properties.